They typically behave less cautiously and more confidently when threats of poisons, reactions, toxins, and venoms are contained or countered. But ancestral lines and fossil histories challenge any peace of mind achieved by canceling or controlling poisonous, toxic, venomous interactions through reconstructed scenarios of what once was and therefore may be once more. • 150 470,000,000-year-old fossil pieces enshrining 20 giant sea scorpions with mature head-to-tail bodies 1.7 meters (5.58 feet) long. reconstruction of Eurypterus remipes: fossil of extinct genus of sea scorpions first eurypterid fossil discovery -- found in central New York in 1818; named in 1825; adopted as New York State Fossil in 1984. The collection has as its most revelatory fossils giant sea scorpion adults and juveniles with respectively 75- to 100-centimeter-long (29.53- to 39.37-inch-long) and 10- to 15-centimeter-long (3.94- to 5.91-inch-long) limbs. Atlantic Horseshoe Crab (Limulus polyphemus): ca. 1908 color print illustration by Heinrich Harder (June 2, 1858 – February 5, 1935). University of Iowa-housed specimen collections. Patrick Lynch - Yale University, CC BY 2.0, via EurekAlert! Laurentian predators outcompeting Avalonian and Gondwanian bottom-feeders. relief over giant sea scorpion-free North American existences. James Lamsdell, CC BY 2.0, via EurekAlert! Borenstein, Seth. 31 August 2015. “Fossils Show Big Bug Ruled the Seas 460 Million Years Ago.” MSN > News. Retrieved September 3, 2015. Borenstein, Seth. 1 September 2015. “Iowa Fossils Show Giant Sea Scorpion Was Dominant Predator of Its Time.” The Globe and Mail > News > World. Retrieved September 3, 2015. De Pastino, Blake. 31 August 2015. “’Incredibly Bizarre’ Giant Sea Scorpion Discovered in Iowa Fossil.” Western Digs > Dinosaurs & Ancient Life > Fossils. Retrieved September 3, 2015. Feltman, Rachel; and Kaplan, Sarah. 1 September 2015. “’Bizarre’ Giant Sea Scorpion May Have Been the World’s First Big Predator.” The Washington Post > Speaking of Science. Retrieved September 3, 2015. Ferreira, Becky. 31 August 2015. “This Prehistoric Sea Scorpion Was the Size of a Person.” Motherboard. Retrieved September 3, 2015. Geggel, Laura. 1 September 2015. 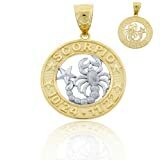 “’Bizarre’ Human-size Sea Scorpion Found in Meteorite Crater.” MSN > News > LiveScience. Retrieved September 3, 2015. Haines, Lester. 1 September 2015. “Giant Sea Scorpion Which Prowled Ancient Oceans Revealed.” The Register > Science. Retrieved September 3, 2015. Hays, Brooks. 1 September 2015. “Scientists Discover Ancient Six-Foot-Long Sea Scorpion.” UPI > Science News. Retrieved September 3, 2015. Kaplan, Sarah. 1 September 2015. “Scientists Find Earth’s First Big Predator: A Terrifying Giant Sea Scorpion.” The Sydney Morning Herald > Environment > Animals. Retrieved September 3, 2015. Lamdell, James C.; Briggs, Derek E.G. ; Liu, Huaibao P.; Witzke, Brian J.; and McKay, Robert M. 31 August 2015. “The Oldest Described Eurypterid: A Giant Ordovician (Darriwilian) Megalograptid from the Winneshiek Lagerstätte of Iowa.” BMC Evolutionary Biology 15:169. doi.org/10.1186/s12862-015-0443-9. Retrieved September 3, 2015. Martin, Sean. 1 September 2015. “Fossilised ‘Giant Sea Scorpion’ Discovered in Iowa. International Business Times > Science. Retrieved September 3, 2015. Payne, Ed. 1 September 1, 2015. “Met the Scorpion’s Prehistoric, Bigger, Badder Cousin.” CNN > U.S. Retrieved September 3, 2015. Pratt, Sara E. 7 July 2013. “Iowa Impact Crater Confirmed.” Earth > Magazine. Retrieved September 3, 2015. The Associated Press. 1 September 2015. 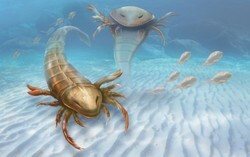 “Giant Sea Scorpion May Have Been Earth’s 1st Big Predator.” CBC News > Technology & Science. Retrieved September 3, 2015. Winston, Joel. 31 August 2015. “Giant ‘Sea Scorpion’ Fossil Discovered.” EurekAlert! > Public Releases. Retrieved September 3, 2015. Yale University. 1 September 2015. “Meet Pentecopterus, a Giant Sea Scorpion: Predator from Prehistoric Seas.” Science Daily > Releases. Retrieved September 3, 2015. 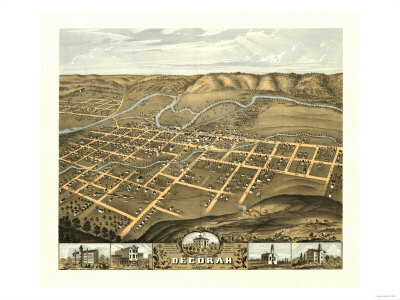 3-Dimensional view of Decorah, Iowa and the Upper Iowa River. Scene is looking due north. ~ Crater, known as Decorah Impact Structure, was discovered during 2008-2009 mineral survey by Iowa Geological and Water Survey. 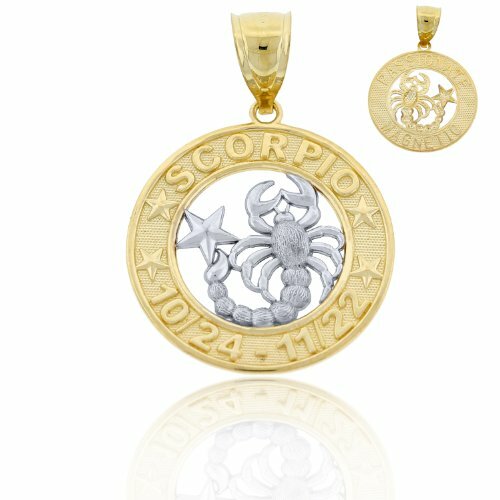 More than a zodiac symbol for late October - late November births, Scorpius is a large Southern Hemisphere constellation honoring a brave scorpion elevated to the sky by Zeus ~ P. decorahensis emerges as prehistoric warrior (predator) of the seas. blackspanielgallery, Considering all the development worldwide, it's amazing that anything still gets found! It is amazing what fossils can be found.